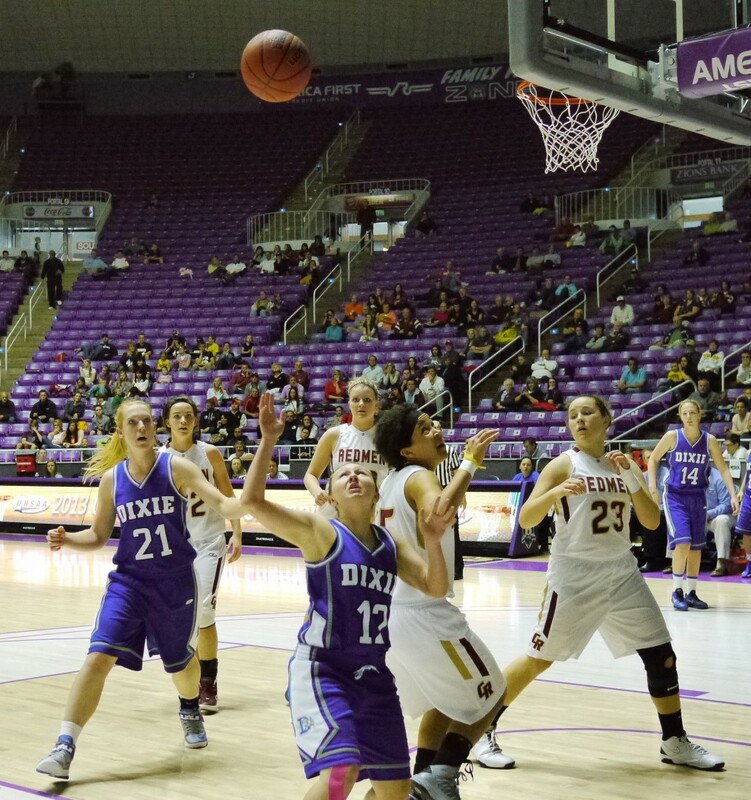 OGDEN – Dixie had a score to settle and the state semifinal was the place to settle it. The Lady Flyers avenged two regular-season losses to Cedar, and in doing so, earned themselves a trip to the state championship game with a 33-31 victory over the Lady Reds Friday afternoon. Dixie actually trailed most of the game and were down by as many as eight points. But early in the fourth quarter, the Flyers started to make their move. With the score 28-24 for Cedar and the clock ticking down near five minutes to go, Lantor got free inside and was fouled. Her charity shots made it 28-26 with 5:16 to go. After a Cedar miss, Kelsey McCann got a back door pass for a layup to tie the game at 28-28. Cedar re-took the lead on a free throw by Shana Foley with 4:25 left and then the defenses took over. Neither team could get a good look and the lid stayed on the basket for the next 2:25. Finally, with two minutes to go, Lantor again scored in the post to make it a 30-29 game and give Dixie its first lead since the first quarter. 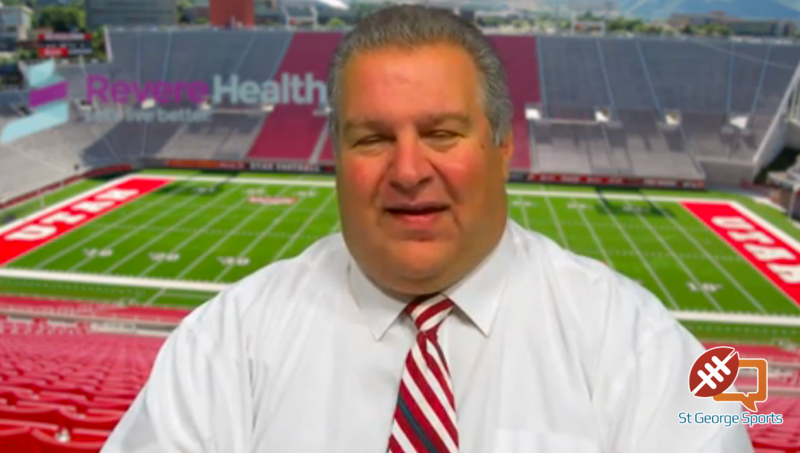 As it turns out, Dixie would never trail again. After a Cedar turnover, Liz Thompson scored on a give-and-go with McCann to make it 32-29 with 56 seconds left. Lady Red Madison Alger hit two free throws to cut it to 32-31 with 29.5 seconds to play. It took Cedar 10 seconds to foul, but the strategy worked as a missed free throw gave the Lady Reds the ball with 19 seconds to play. After a time out, Cedar worked a play to Tara Shipp, but her driving attempt bounced hard off the rim and Lantor ripped down the rebound with 2.1 seconds to play. She made one free throw and a final desperation Cedar pass went out of bounds, securing the Dixie win and a little revenge. The Flyers, who finished fourth in Region 9, will play for the state championship at 5 p.m. Here against their region rival Desert Hills. “I’m so excited,” Aubri Challis said. McCann led Dixie with 11 points and Lantor had 10. Both players cleared 10 rebounds each. 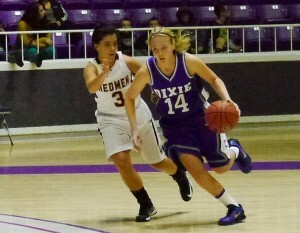 Dixie survived despite shooting just 8 of 17 from the free throw line.